Arlene M. Utecht, 79, of Highway W., town of Saukville, died late Sunday, October 17, 2010 at Columbia St. Mary’s Hospital-Ozaukee Campus in Mequon, WI where she had been a patient recently. She was born on February 18, 1931, daughter of Henry and Mildred Daane TeWinkle in the town of Lima, WI. She grew up outside of Waldo, WI and graduated from Plymouth High School. She married Harvey O. Utecht of Port Washington on September 16, 1950 in Plymouth. He continued his military duty and settled in Saukville most of their married life. He preceded her in death on February 25, 2008. A mother raising her ten children, she later worked at Tecumseh/Power Products Mfg. Co. in Grafton under various titles, retiring as an inspector after 21 years. While there she was a member of the International Association of Machinists and Aerospace Workers Local 1326. After her retirement she volunteered with the Ozaukee County Public Health Vaccination Clinics and was a member of St. Paul Lutheran Church of Grafton. She is survived by her children Arlene (Dean) Himmelreich of Milwaukee, Jeanne Morrison of Waubeka, Carl (Terrie) Utecht of Fredonia, Susan (John) Abram of Glendale, Paul (Jennifer) Utecht of Belgium, Robert Utecht of Belgium, Fred (Dawn) Utecht of Belgium, Linda Utecht of Milwaukee, Daniel (Denise) Utecht of Kewauskum and Christopher (Erica) Utecht of Sturgeon Bay, 32 grandchildren, 7 great-grandchildren, a brother Victor TeWinkle of Sheboygan, nieces, nephews, other relatives and friends. 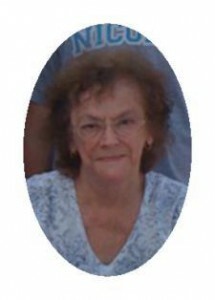 Funeral services will 3:30PM Friday, October 22, 2010 at St. Paul Lutheran Church, 701 Washington Ave. (Hwy. 60), Grafton, WI. Visitation will be from 1-3:30PM Friday AT CHURCH. Rev. Kenton Wendorf will officiate. Interment will be at St. Paul Lutheran Cemetery, Grafton. Memorials to the church are appreciated.